When the new year began in 2016, we were eager to share some exciting events with our friends and loyal customers. We were preparing to celebrate our 90th anniversary with a brand new look for our small business. We planned to introduce our newest product, the Dry Cured Lamb, with professional and home chefs across the USA, and get a new vintage of our award winning Country and Surryano Hams down on salt for the curing process. That all changed on January 19th, 2016. 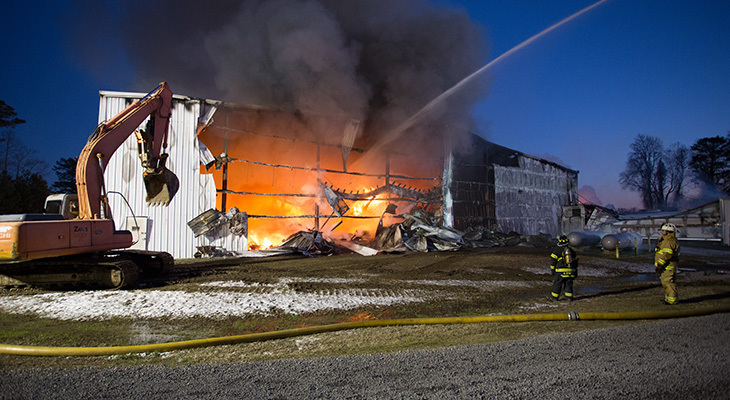 A fire broke out in our main facility in Surry, Virginia. Friends told us that you could see the black smoke billowing from across the James River. By the grace of God everyone made it out unharmed, but the fire wiped out almost everything. Despite weeks of investigation no one was able to conclude what caused the blaze. Our hearts were broken. 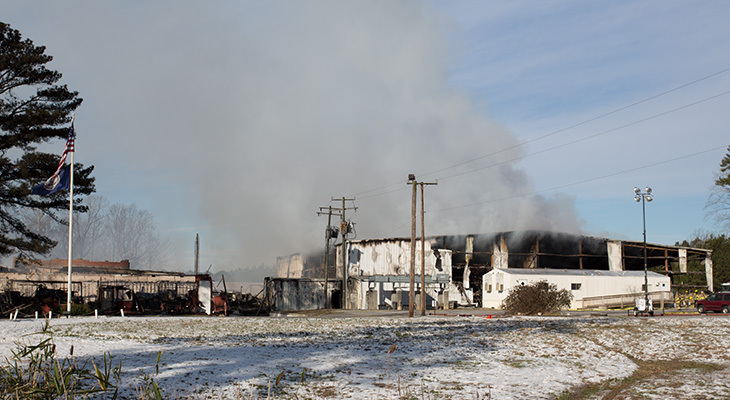 For months, we had to watch the remnants of our office building, smokehouse and warehouse smolder in a pile of rubble. To this day, we're in a dispute with the insurance company and brokers over the coverage for the loss. This dispute continues to place our future in uncertainty. 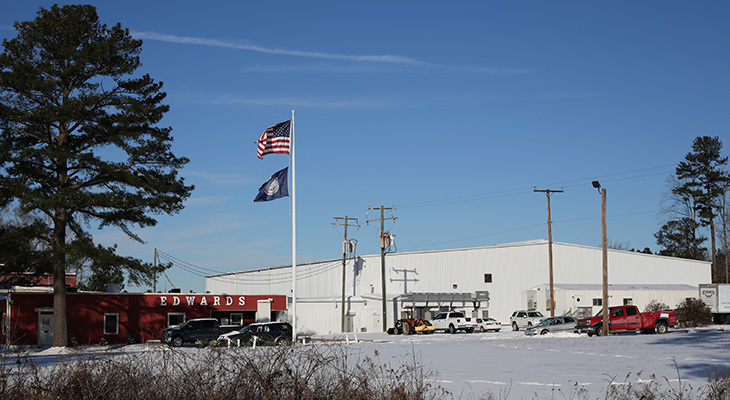 The fire also forced many difficult decisions, including having to let go of over half of our long-term Edwards employees. They are friends and colleagues, some of whom have worked with us for decades. This was by far one of the hardest things we have ever had to do in our 90 years in business. What kept us going was the stunning level of support from customers, neighbors, business associates, friends, and fans. 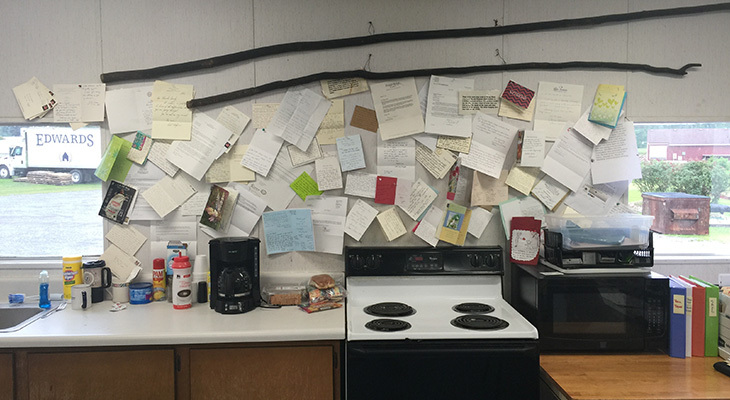 People reached out through hundreds of letters and thousands of social media posts sharing their thoughtful words of encouragement. 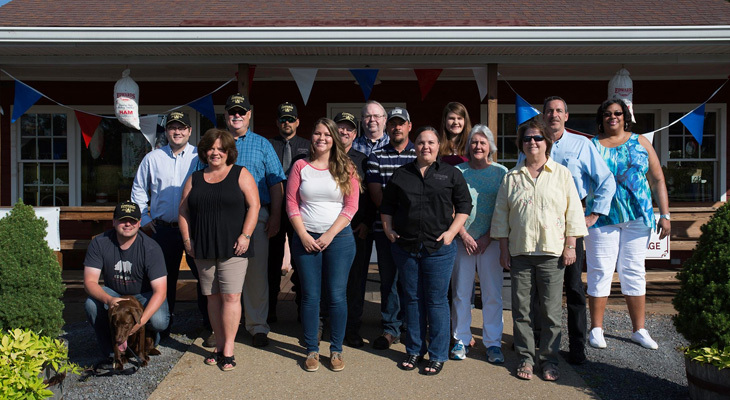 We were deeply humbled by the stories of what our Virginia Country Ham meant to their families for generations, the memories they have made over the years, and how they have created their own traditions around the holidays. On the day after the fire, Sam said, "We're crawlin', but we ain't dead". It was time to move forward. We traveled across the country to meet with our friends in the charcuterie community to help us get back on our feet. 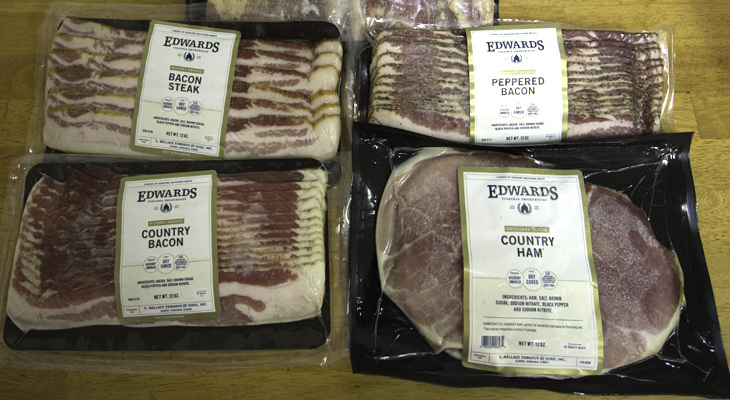 Today, we now offer a variety country hams, sweet hams, bacon and sausage on our website and in restaurants across the country once again. Some of the products made through our collaboration may have a slight flavor difference compared to the products we use to make here in Surry, but every purchase brings us one step closer to making the quality cured meats our customers grew up with. We began the year thinking 2016 would be a year of celebrating our past and sharing the love we have for a tradition of American dry cured meats. In an odd way, we still are. Each day we're reminded by the love of our customers, whether it's the family of four who celebrates the holidays with a cooked country ham, or the renowned chef who crafts his menu with our smoked sausage. We'll continue to respect the relationship we have with our customers and we will do our best to ensure that our tradition returns for years to come.